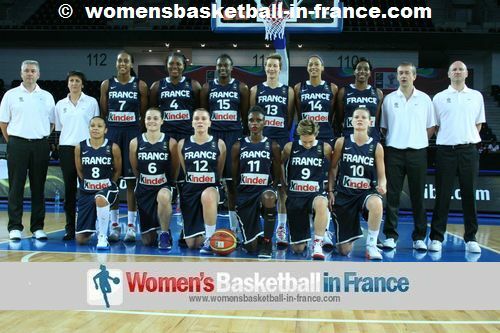 France completed their EuroBasket Women 2013 preparation with a perfect record of 9 wins from 9 games. For the first time since Pierre Vincent became coach in 2008, all the preparation games were played in France. First France swept Italy 3-0 (74-43, 67-39 and 82-59) to open the senior women campaign for 2013. France's second test was a 4-nation tournament with Belarus, Lithuania and Russia. France had comfortable victories against Belarus (72-49) and Lithuania (77-36) before being pushed by Russia in the final game. All the same France came out on top (64-50). France completed their preparation with a second 4-nation tournament sweep in which they opened with a victory against Canada (55-35). They then followed up with further wins against Turkey (65-58) and Spain (67-56). 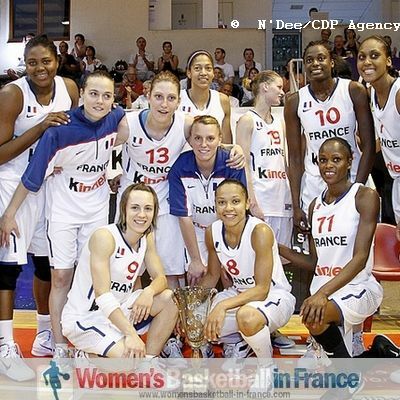 The French senior team, "les Braqueuses", have been undefeated on home soil for more than two years. Their last defeat came on 10 September 2010 against Belarus. 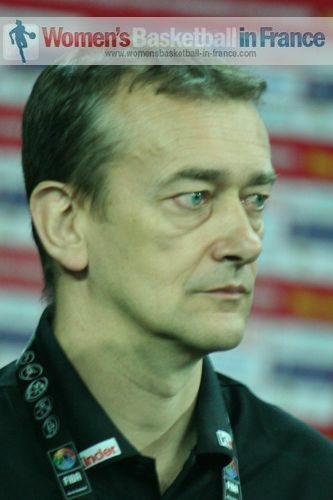 During the preparation Pierre Vincent (in picture) progressively released players from the 30 that had started the EuroBasket Women adventure. 10 players had been released after the first training camp at the start of May. Prior to the series with Italy more players left the camp: Sara Chevaugeon, Laëtitia Kamba, Paoline Salagnac and Isabelle Strunc. Then Vincent decided to release Héléna Ciak, Pauline Krawczyk and K. B. Sharp just before the start of the second series of games at the end of May. Ana Cata-Chitiga was the last player to be cut from the training roster. France are hoping to break the host's jinx by becoming the first host nation to lift the European Championship trophy since they last hosted the competition in 2001.